Videos, games, activities and worksheets to help SAT students review even and odd numbers. 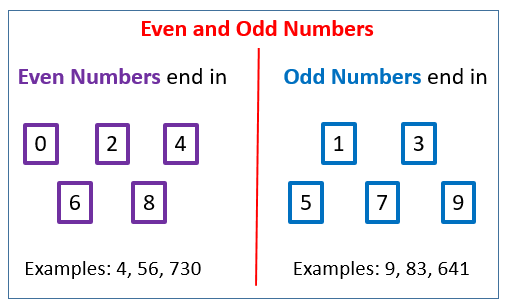 The following diagrams show what are even numbers and what are odd numbers. Scroll down the page for examples and explanations.